Wild at Heart helped men to rediscover their masculine hearts-to be the men God designed them to be. Now this small book goes a step further, encouraging fathers to pass this insight on to their children. It is not by accident, contends John Eldredge, that little boys dream of being heroes and little girls dream of being rescued by a prince. It is woven into the very fiber of the sexes. Men struggle with this most pivotal role, and Eldredge's writing is the affirmation and encouragement each man needs. 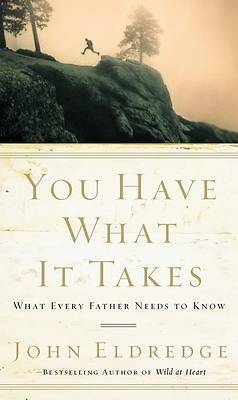 Eldredge gives fathers a look inside both themselves and their sons and daughters, encouraging them to give their children permission to be who God designed them to be.